Sara Glass, geared up to ride. Have you always wanted to ride but don't know anyone who else who does? I hear it all the time when I tell women I ride. It makes me want to grab them by the shoulders and yell, "You can do this!" 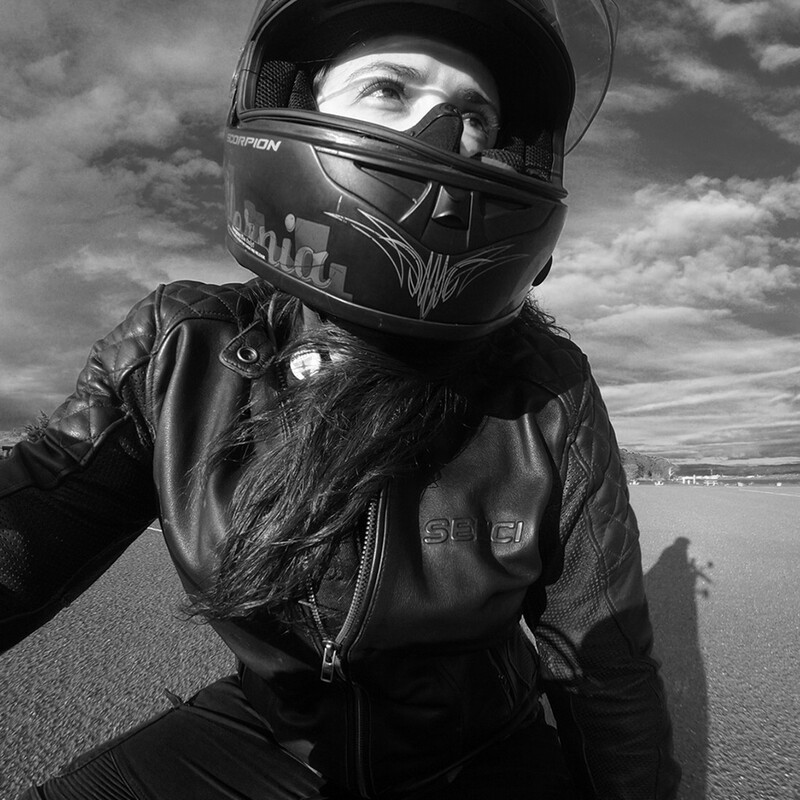 Every day I ride, the bigger my passion for motorcycles becomes and the more I feel the need to encourage female riders. I remember always having an interest in motorcycles and getting my first dirt bike when I was 10. It wasn't until I met another rider while I was working at a local hospital that my passion for them really grew. She was one of the tiniest, fiercest women I ever met and she came in with a shattered hip from a motorcycle wreck. I remember the surgeon commenting that he had to put her hip back together like a jigsaw puzzle and she would be lucky to be able to walk again. The first thing she said out of surgery was, "When will I be able to ride again?" I was floored. And I had never seen that surgeon so angry with a patient. For her to go through that kind of pain from a motorcycle injury and want nothing but to get back on was amazing to me. I knew then there was something special only other riders understand — something I wanted to be a part of. Last year I took my first solo motorcycle trip to Joshua Tree, a little more than 750 miles each way. It was an incredible adventure meeting up with a 1,000 badass women who share my passions for riding, drinking and dancing. Babes Ride Out originally started with 50 women in 2013 and has since grown into an empowering women-only event with more than 1,000 in attendance. Getting into riding, especially when you don't know anyone who does it, can be intimidating. I remember thinking how heavy motorcycles are and worrying I wouldn't be able to control one. But after sitting on a few, feeling the distribution of the weight and how balanced a bike could be, I knew I could do it. First things first, always, always wear your gear. I have fallen several times. It's inevitable: You WILL drop your bike so be ready. 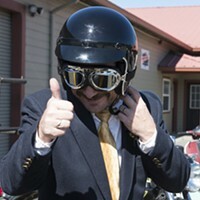 When shopping for gear, check out www.RevZilla.com's online clearance section. 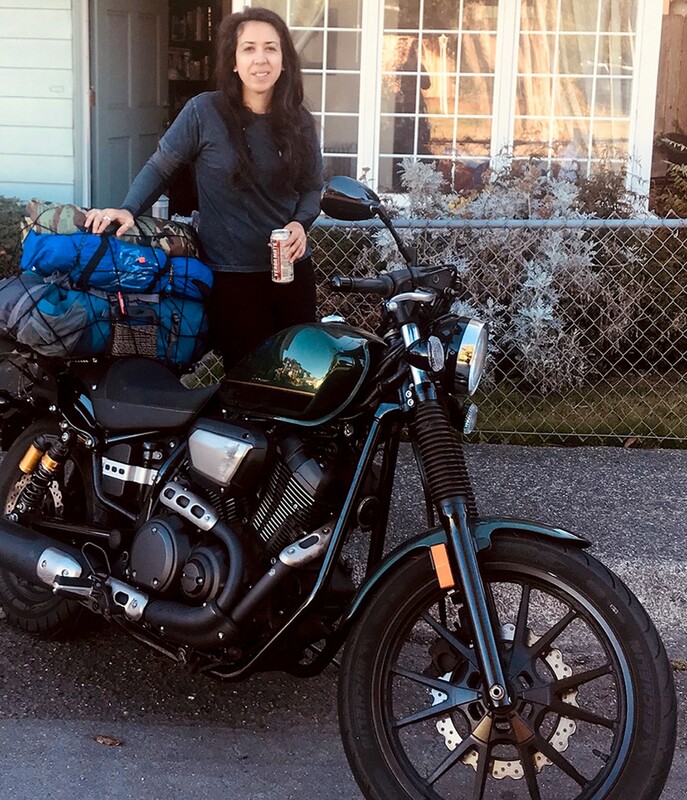 My favorite site is www.atwyld.com, which makes motorcycle gear designed specifically for women so you can be fully protected on your bike and look great. If you have never sat on a motorcycle, I would recommend starting on a dirt bike. This will get you comfortable with the feeling, how it works and the concept of shifting and breaking. As with anything, it will take some time to build up your confidence. If you can borrow a dirt bike from someone, do it. And practice, practice, practice. Dirt bike practice will make you a much better street rider. 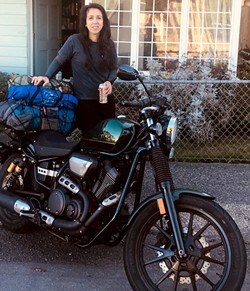 If you can't borrow a motorcycle or dirt bike, the Redwood Region Motorcycle Training class offered at Redwood Acres is the very first step to riding street bikes. The three-day course is not only great for new riders figuring out whether they should invest in that bike they've been eyeing, but also for any riders wanting to brush up on their skills. After each class, check in with yourself. How do you feel? The right balance of confidence and fear makes for the best riders. Talk to the instructor about your progress throughout the course. Safety is the most important factor, so learn as much as you can and then trust your instinct. 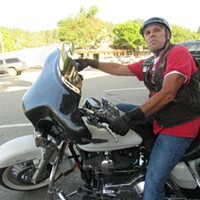 Riding is not for everyone and that's OK. As you will hear some bikers say, "It's a lifestyle." I'm still nervous before I get on my bike every day. I'm aware of the risks and that makes me a safer, more confident rider. I have been in some scary situations but constant awareness and the mindset that I am invisible kept me hyper aware of my surroundings and able to take quick actions. Feeling comfortable on the road takes time and patience, so go at your own pace. Buying your first bike can be scary, too. I admit I was intimidated at first. At 5 feet 5 inches, finding a bike that fit so I could put my feet firmly on the ground when stopped seemed impossible. However, there are some great bikes out there in all different styles for women short in stature — you simply have to do your research. I shopped for and tested bikes for two years before going with my Yamaha. Unfortunately, much of that had to do with how I was treated at some dealerships. In a sport largely dominated by men, I was often overlooked, not taken seriously or ignored. Even when I found a bike in Sacramento that I felt was the one, I refused to buy from that dealership after the way the staff treated me. I eventually found my ride at Pacific Motorsport back home in Humboldt. The staff there was awesome, super friendly and answered all my questions. They didn't care at all that I was a woman wanting to ride a motorcycle — they encouraged it. After looking for a bike in the Bay Area for so long and starting to feel discouraged, it was refreshing. I spent a year riding around town, cruising back streets and the short few miles to work before I took to the freeway, let alone a 1,500-mile solo ride. That was my learning pace and you will find yours, too. It took time, dedication, failure, a few scares and some embarrassing moments to get me here. I am still learning every time I get on my moto. And yes, I am still slow and getting used to riding in groups. It's a journey, not a destination. 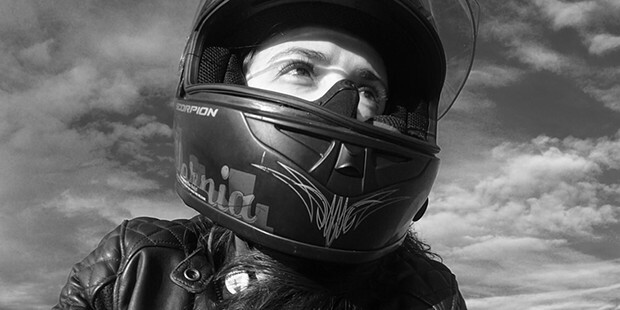 It's easy to see why riding a motorcycle appeals to so many women and even easier to see why it scares so many more. I love my bike, the adventure and how alive it makes me feel. Even on bad days, the excitement of turning the key in the ignition will lift my spirits. I forget about work, bills or things going on at home. Focusing on the road and my surroundings is a freedom to which I'm now addicted and I never plan to give it up. If you want to try riding go for it, do it for the right reasons, respect the bike, go at your own pace, learn and, most of all, have fun. Ride safe, ladies: Two wheels to the ground, rubber side down! Hit Sara Glass up with your questions about riding via the local women's riding club Lost Coast Babes at Lostcoastbabes@gmail.com. Follow the club on Instagram and Facebook.